Hello there! Thank you so much for visiting my blog. It makes me really happy that you want to learn more about myself and my blogging adventures. My name is Hilary, I'm a born and raised Texan who currently lives in the suburbs of Houston, TX. I started this blog as a mommy blog shortly after my first son was born, but I quickly found and fell in love with the amazing quilting and sewing online community! I have always been a crafty and I started sewing when I was a freshman in high school because I wanted to make myself a Halloween costume. I didn't have a clue was I was doing and that costume turned out awful, but I was so proud of it! From that point on, I would continue to sewing random items all the way through my college years. Like many quilters before me, my desire to learn how to quilt came when I was pregnant with my son William. Little did I know how much quilting would soon influence my life! 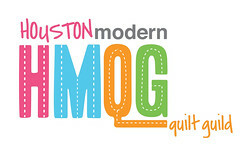 One of the first things I did when my family and I moved to Houston was join the Houston Modern Quilt Guild, and I am so glad I found this group of women! They have truly become some of my best friends and I loving being able to get together with them. Currently I am blessed to be able to work as the Social Media and Guild Coordinator for Aurifil Thread. I love the team of people I get to work with and I love getting to be a part of an industry that I truly enjoy! I found your blog today and fell in love with it. When I read that you love the smell of antique stores I had to laugh out loud because I thought I was the only person who felt that way. It makes me really happy that i'm not the only one! Ha! Anyways, I just wanted to say keep up the awesome blogging. Hello Hilary, Your blog is great and very well done! Will be visiting often. Your quilting is amazing. Thanks for sharing. Welcome to Texas, I am from 60 miles south of Houston, born in Houston too, now living in Arlington, Texas near Fort Worth. I enjoyed your moda bake shop potholder tutorial, for being a young mom, it looks like you have a head on your shoulders....... Being a grandma of 7 grandkids all 5 and under, I know you made someone else proud.